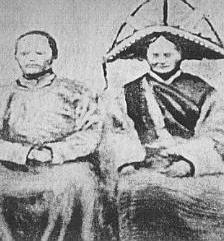 In 1938 a archaeological expedition led by a Professor Chi Pu Tei, was exploring the Baian-Kara-ula mountains in order to survey a series of interlinking caves on the border of China and Tibet. What the team found was a cave within which wee several small bodies, and over 700 small round stone discs. They have since been claimed to be a record of an alien crash-landing on earth 10,000 years ago. Frustratingly, the detailed facts of this case are not known as most of the literature on this subject has been regurgitated from unsubstantiated sources. The Dropa: A Modern Myth.? The following text has been compiled from various websites, and is unsubstantiated in any way. According to the modern myth, the caves they found themselves in were suggested to have been artificially carved, and were more like a complex system of tunnels and underground storerooms. The walls were squared and glazed, as if cut into the mountain with a source of extreme heat. Inside the caves were several ancient, but neatly arranged burial sites, and in them the skeletal remains of several small (measuring a little more than four feet tall), frail and spindly people with disproportionately large skulls. It is claimed that a member of the team suggested that they might be the remains of an unknown species of mountain gorilla to which Professor Chi Pu Tei is reputed to have responded, "Who ever heard of apes burying one another?" On the walls of the cave were said to be carved pictograms of the heavens: the sun, the moon, the stars, and the Earth with lines of dots connecting them. (There is no image available to substantiate this). 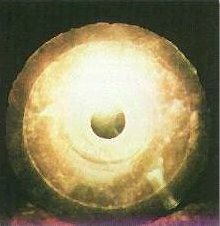 And half-buried in the dirt floor of the cave was a stone disk, obviously fashioned by the hand of an intelligent creature. The disk was approximately nine inches in diameter and three-quarters of an inch thick. In the exact centre was a perfectly round, 3/4" hole, and etched in its face was a fine groove spiralling out from the centre to the rim. This was the first of 716 such discs retrieved from the cave. 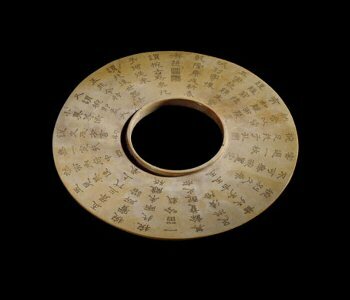 The discs apparently remained in storage for the next 20 years at the Beijing university until 1962 when another Chinese scientist called Dr. Tsum Um Nui, working for the Prehistory Department of the Beijing Academy declared that he had managed to decipher the inscriptions, and had translated the text on the discs. The professor wrote up a paper on his findings and presented it to the university for publication. Their reaction was emphatic: the paper would not be published. The Academy of Prehistory expressly forbade him to publish or even speak of his findings for over two years until he published the paper himself (apparently against their will), as titled below. 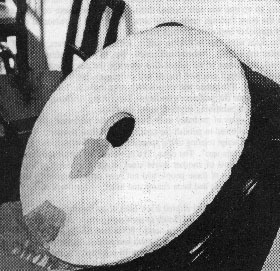 The Dropa disks apparently tell the story of a space probe from a distant planet that crash-landed in the Baian-Kara-Ula mountains of the Himalayas. The occupants of the spacecraft - the Dropa - found refuge in the caves of the mountains. Despite their peaceful intentions, the Dropa were misunderstood by members of the Ham tribe who were occupying neighbouring caves and who hunted down the aliens and even killed some of them. A translation of one of the passages says: "The Dropa came down from the clouds in their aircraft. Our men, women, and children hid in the caves ten times before sunrise. When at last they understood the sign language of the Dropa, they realized that the newcomers had peaceful intentions....". The stones go on to say how the Dropa were unable to repair their disabled spacecraft and could not return to their home planet, and so were stranded on Earth. The Dropa: Who are they? Today, the isolated area is still inhabited by two tribes of people who, in fact, call themselves the Dropa and the Han. Anthropologists have been unable to categorize either tribe into any other known race; they are neither Chinese nor Tibetan. Both tribes are of pygmy stature, adults measuring between 3-foot-6 and 4-foot-7 with an average height of 4-foot-2, and body weights of 38 to 52 pounds. They are yellow-skinned with thin bodies and disproportionately large heads, corresponding to the skeletal remains found in the caves in 1938. They have sparse hair on their bodies and have large eyes that are not Asian in aspect, but have pale blue irises. Dzopa ruling couple Hueypah-La (4 ft. tall) and Veez-La (3 ft. 4 in. tall). Supposedly, there also is an ancient Chinese tale that might bear-out the Dropa's claims. The tale relates the story of a small, slender, yellow-skinned people who descended to the Earth from the clouds, and who were shunned by everyone because of their ugliness. 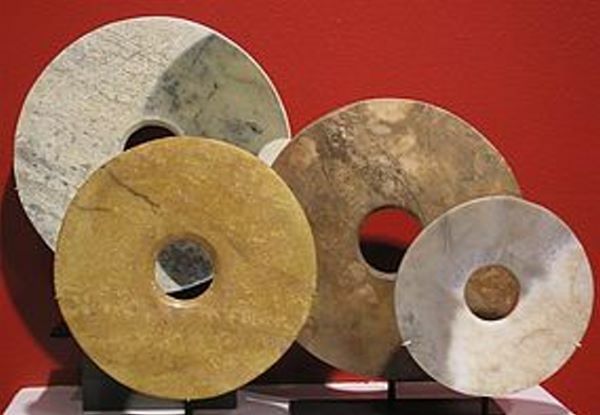 Bi-Discs are a recognised form of circular artefact from ancient China. 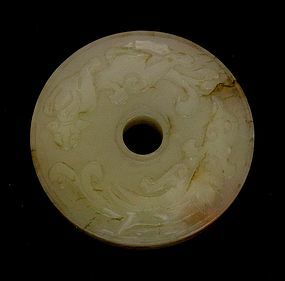 The earliest Bi were produced in the Neolithic period, mainly in Jade and particularly by the Liangzhu culture (3400-2250 BC) (1). They were placed on or near the head of the deceased person. 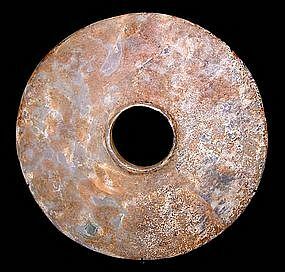 Neolithic Bi-discs are undecorated, while those from more recent dates tend to be more intricate in design. A Selection of Images of Bi Discs.